Although games aren’t scheduled to be played until March 1st, for every baseball fan Spring Training officially begins when pitchers and catchers first report. 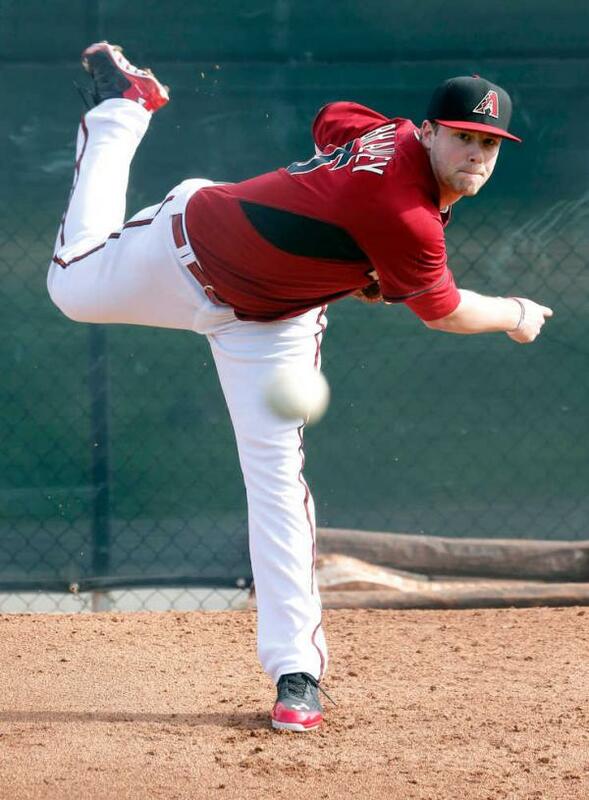 Five clubs saw their pitchers and catchers report on Wednesday, with the remaining teams’ hurlers and backstops trickling in over the next few days, leaving every team with their respective pitchers and catchers in camp by Sunday. Therefore, baseball is finally back. But for a number of free agent players who have yet to find homes so far this offseason, Spring Training is going to have to wait — at least for now. Before they can report to a camp, every free agent needs to come to terms with a team that they’ll wind up calling home for the 2016 season. Given, there’s still over a month until the regular season, and most if not all of the free agents will sign before too long. But time is slowly running out. With that in mind, I thought I’d go over the free agent players still on the market, position by position, who are more than capable of still helping out a big league club, but have yet to sign for one reason or another. Beginning with the starting pitching role, the best remaining free agent starter who remains up for grabs is Yovani Gallardo. While Gallardo has been linked to talks with the Orioles, he is still technically in play for all thirty clubs. Although he isn’t going to be the ace of any team’s staff, Gallardo is still a really good pitcher who you can count on for numerous innings (180+ for each of the past seven seasons) and will give his team a chance to win each and every night. Appropriately following the starting pitcher in this post is the relief pitcher, with there being several quality reliever options remaining. The one that stands out the most to me, however, is Casey Janssen. He didn’t have the best season in 2015, but a three year stretch from 2011-2013 saw him as one of the best relievers in the game. With him holding a career ERA of 3.63, Janssen doesn’t immediately jump off the page, but he can be an asset to a number of teams. Justin Morneau leads the pack of available free agent first basemen. After a 17-homer season back in 2014, Morneau only played in 49 games last season due to injuries which ultimately held his numbers down. But I look for Morneau to have a bounce back season in 2016, if he can be healthy. Although his days of dominating the first base position are likely over, the days of him being a solid player definitely aren’t. At second base, the only free agent left is Dan Uggla, making him the only option to discuss. I’m not sure what the future holds for Uggla, who was once one of the best second baseman in baseball. Uggla blasted 30+ homers for five straight seasons early in his career and has been an impactful player, but he hasn’t had a very productive season since 2013. However, with all of that said, Uggla could surprise some people if given a chance. David Freese manning the hot corner is something any team would want to see, but for some reason he has yet to be signed. Freese is a reliable third baseman who you can count on year in and year out to hit double digit homers and drive in runs in the majority of key situations. After all, Freese was the reason the Cardinals survived game six of the 2011 World Series and ultimately went on to win. He falls under the low risk, high reward type of player, and would be a nice pickup for any team. The shortstop position is currently one of the weaker spots as far as free agents is concerned, but Ian Desmond is the big player of the group. Following a somewhat mixed departure from the Nationals, where Trea Turner looks ready to take over the shortstop role, Desmond has been linked to a number of teams this offseason but has yet to land anywhere. Even so, Desmond is still a valuable player, coming just one homer shy in 2015 of a fourth straight 20+ home run year. As far as the outfield, there are a number of above average free agents still there for the taking. Looking merely at the position as a whole — not individually at right, left and center — the the top three free agent outfielders in my mind are Austin Jackson, Dexter Fowler and Marlon Byrd. They’re each mid-to-upper .200’s career hitters, and each had solid 2015 campaigns. For that reason, while they still remain without a team to call home, chances are they won’t be that way for long and will have some amount of impact this coming season. Despite every position previously mentioned having players available to sign, if your favorite team is in need of a catcher, they’ll have to look for other options besides free agency. There are no remaining catchers on the market, making it the only position without a single player left. However, there are more than plenty of other positions to snag above average players from that can impact any roster. As history has shown, the majority of free agents always wind up signing with a team, even if it takes until the very last second to do so. But now that Spring Training is upon us, they no longer have the luxury of sitting back and waiting for the right offer and the right time to arrive. With spring being the time teams find themselves and form chemistry each year, the time for free agents to begin their final pushes towards signing is now. It’s been quite awhile since people have whole heartedly believed in the Cubs. But let’s face it. They haven’t had a reason to believe for the past several years. With the Cubs having failed to even make the postseason since 2008, not having made a World Series appearance since 1945, and currently holding a 107-year World Championship drought, the Cubs’ fan base has been nothing but disappointed for a long time. The Cubs, however, have finally put together what could prove to be a formidable team that fans could actually get behind. In fact, many Cubs fans are getting so behind this year’s roster that they have visions of a World Series title to round out the coming season. While I like their optimism, and wouldn’t be too stunned if it happened, I don’t think it will necessarily occur in 2015. I think it will be 2016 at the earliest before the World Series becomes a possibility. But that doesn’t mean I don’t think the Cubs will have an amazing team this year. Although a lot of people are saying that the Cubs are extremely overhyped and stand little chance of doing much of anything this season, I actually believe in the club they have. First off, their new manager, Joe Maddon, has proven to be one of the best in baseball — not necessarily for his winning records but for his ability to get the most out of each and every one of his players. His addition to the club house will have an immeasurable impact on the Cubs in my mind. As far as the players themselves are concerned, it’s a talented group of characters the Cubs are going to be putting on the field throughout the season. The one weakness a lot of people foresee, however, is their pitching staff, consisting of guys like Travis Wood, Tsuyoshi Wada and Kyle Hendricks. While those players aren’t the worst pitchers in baseball, they aren’t Cy Young candidates either. 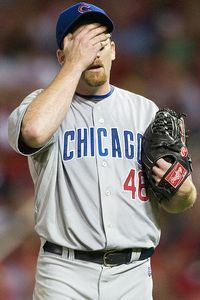 But the Cubs do in fact have a Cy Young caliber pitcher they snatched up this offseason, set to lead the staff every fifth day. Jon Lester, who came over to the Cubs on a 155 million dollar contract, is sure to instantly make the Cubs pitching staff relevant (with their bullpen being decent enough). Beyond that, the Cubs’ lineup is fairly good as well. Admittedly, it consists of a lot of young, unproven talent, but it’s a good group, nonetheless. 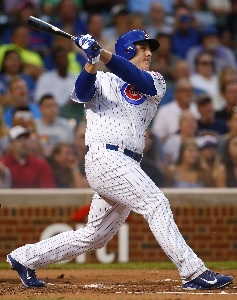 Having Starlin Castro, Anthony Rizzo and newly added catcher, Miguel Montero, slotted in the Cubs’ lineup is sure to lead to runs being scored. But it’s the youth of the Cubs that could ultimately lead to a lot of wins in 2015. With Jorge Soler, Tommy La Stella, Arismendy Alcantara and Javier Baez looking to have breakout seasons — along with uber prospect Kris Bryant, who should be called up shortly into the year — the Cubs’ team is going to be one to reckon with. However, it’s that very youth and inexperience in a great number of the players that has a lot of people remaining cautious from hopping aboard the Cubs’ bandwagon. After getting their hopes up in the past only to see things come crashing down, many people from around the baseball world refuse to believe that the Cubs stand a chance at making much ground in a division that includes the Cardinals, Reds, Pirates and Brewers. But it’s not stopping me from predicting the Cubs to have success in 2015. Maybe the 2015 Cubs aren’t the team that will break the “Curse of the Billy Goat”. Maybe they aren’t even the team that will dominate their division for the better part of the season. But I feel that the Cubs are in fact the team that will surprise the most people this season as they make a run toward the second wild card spot in the National League.